Kitchen space can be at a premium, and utilizing every square inch is one way to get the most out of your space. If you are lucky enough to have a massive walk in pantry that can house a year’s worth of food and supplies, then you don’t need this article, but if you are like me, and maybe you have a tiny pantry, or maybe a cupboard has been classified as your pantry or that broom closet, then you need ways to utilize the space the best possible way. As I researched ways to do this with my own food goods, I discovered there are many affordable gadgets that you can add to your space to make it “user friendly”. If the area you have classified as your “pantry” has been dedicated to house all the food goods, then it can get busy. I personally have found the hardest things to deal with in this space are tins or canned goods. You get a good deal on some tin soups or tomatoes or whatever you like to get and you maybe stack them on the shelf, but some always end up in the back or knocked over. Those are the ones you find one day when you are either moving or having a good clean out. So, I found if you have shelves then the best way to deal with cans is to make it so you can see them and you use the oldest first, this way you are not simply adding new ones to the front of the line and forgetting what is already there. This can sit on your pantry shelf in plain sight. You can see what you have and what you need. This way you are not wasting your money purchasing canned goods you simply do not need as these ones will not end up being pushed behind the paper towels or other things or even down the back never to be seen again. 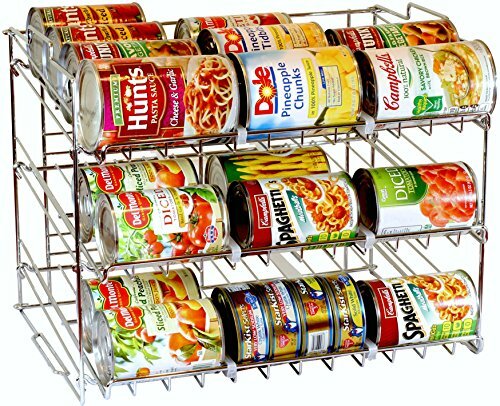 You can dedicate one shelf of this rack to soups or something you like. When you get new ones you put them at the back so you will have a organized system for using these and it is easier on shopping day to see what you need at a glance. Simply sit this on the shelf and because it has raised “tiers” you will be able to always see everything available. The tallest things on the top shelf then the smaller items on the lower tiers. You can use these for almost any bottle, can or extra spice jars, or whatever you like to store in this space. This will totally utilize the vertical space, and is much better than stacking. 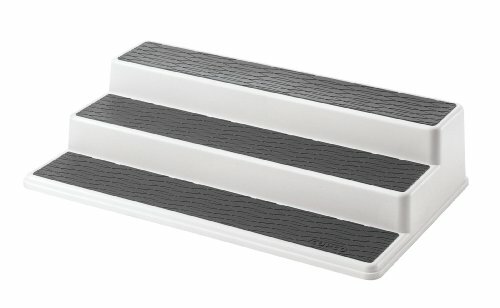 You could have a couple of these on a shelf and basically turn that one shelf into three smaller shelves instantly. I used to have a drawer for these, and since moving to a smaller space I lost that drawer, but you can add these to your pantry and instead of having them balance on top of the tins and everything else in there, they can have their own dedicated space. Perfect for tin foil, plastic wrap, and waxed paper etc. You can see them quickly too. If you have the room in your pantry organization ideas, then adding your bake ware to this space keeps things organized. 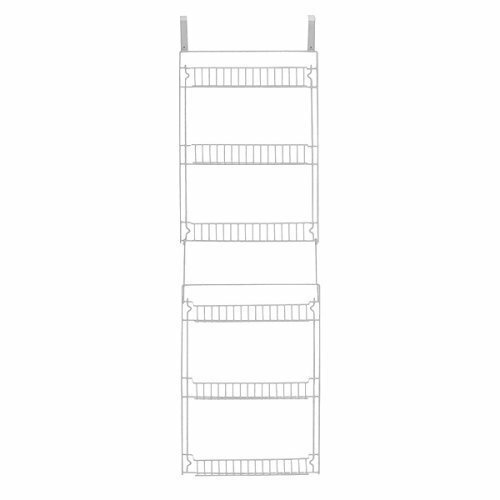 This storage rack keeps them separated and ready for use without taking up so much room. This would be much better than simply stuffing those baking pans into a drawer. Use the drawer for other things and add this to your pantry or even a cabinet and see what you need right away. If you don’t have an area you can call the “pantry” then why not create your own? You can get this over the door hanging pantry unit that will store all your extras. Perfect for rented spaces and if you just need that little bit of extra room. If you have a door or utility closet door this could hang on the inside to give you quick access to everything you need. There are many other affordable additions you can add to those simple shelves in a closet or cabinet. Many shelves have a lot of space that is not used vertically as most people do not have loads of tall items. You can quickly and easily add these above storage items to make life easier and more organized when it comes to storing food. In my last house the corner upper cabinet in the kitchen was where I stored my dry and canned goods. Over time these goods would work their way to the back of the cabinet, and unless you felt like hauling out the step stool or climbing on the counter, new things tended to be added to the front. When we went to move I found past dated food goods way in the depths of this cabinet. It had the depth to store everything but it was not user friendly. 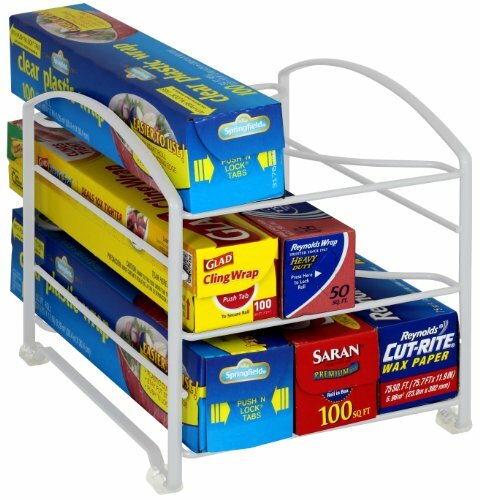 By adding racks such as the one for cans or many other storage ideas, I could have stopped the wastage and I would have been able to keep up with what was in there and what we needed to buy. You don’t have to spend a lot of money. If you don’t have a dedicated pantry space, you can dedicate a cabinet and use the above storage ideas to keep track of everything. So get organized and see just how much you can fit into your space. Once everything has its own place then harmony begins! 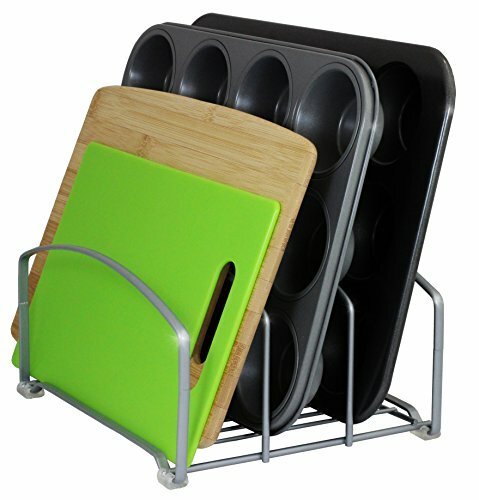 These are really useful for the kitchen. Awesome ideas. Thanks for sharing.